I Bleed Crimson Red: Iowa players probably OD’ed on Creatine? Iowa players probably OD’ed on Creatine? Doug Ross @ Journal thinks so. After reading his post, I’m convinced now, too. What appears to have happened is that the players were not sufficiently hydrating themselves and taking too much Creatine (or some other similar muscle-building supplement). 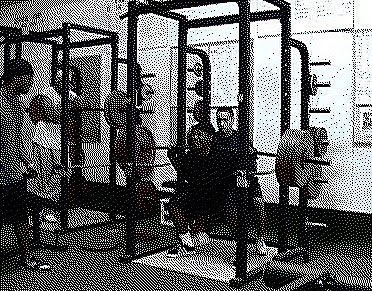 At a body weight of 178, which was down 25 pounds in a matter of a couple of months, I could bench press 225 12 times -- that represented a significant and disappointing drop from the time when I carried more weight. Someone suggested creatine and, after reading plenty of research on MedLine, determined that for short-term use, it appeared relatively safe. Given the likelihood that the players weren’t forced to take the megadoses of the supplement, and that such offseason workouts are strictly voluntary (by NCAA rule), it’s hard to fault the school or staff, here. They bear some responsibility for not managing the players’ dietary intake, and that could be especially sticky for them since, well, they kind of have a substance issue in the Hawkeye program. But a lot of the misinformation being thrown about—suggesting that Iowa was intentionally drugging their players, forcing them into overly strenuous workouts and generally not caring about the well being of their student athletes is taking things too far.